Corsair on Thursday introduced its first Elgato-branded miniature Thunderbolt 3 dock. The product has two 4Kp60-capable display outputs, a USB Type-A port, and a Gigabit Ethernet connector. 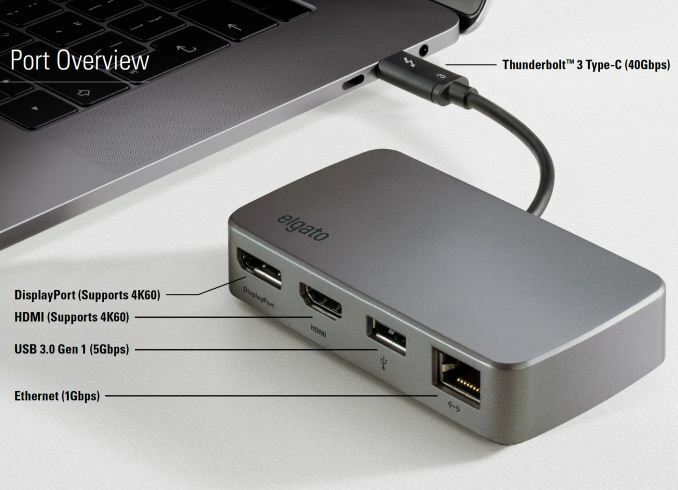 The minimalistic Elgato Thunderbolt 3 Mini Dock is aimed primarily at owners of Apple’s latest MacBook Pro laptops who need an essential set of ports while on the go. The Thunderbolt 3 Mini Dock has one DisplayPort 1.2 output, an HDMI 2.0 output (with HDCP support), a USB 3.1 Gen 1 Type-A port (5 Gbps, up to 1.1 A), and a GbE port. 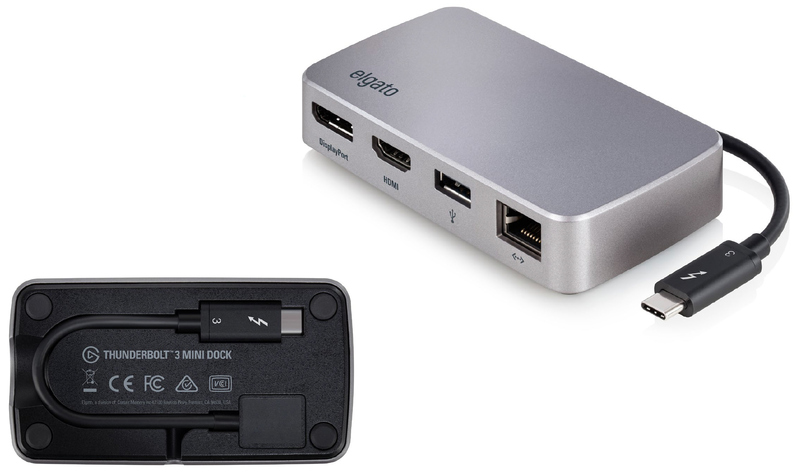 Being very compact, the Thunderbolt 3 Mini Dock weighs 125 grams (4.4 ounces), looks like a big pack of mints, and comes with a foldable 12 cm (4.7 inch) cable that can be quickly hidden when not in use as well as easily managed when in use. 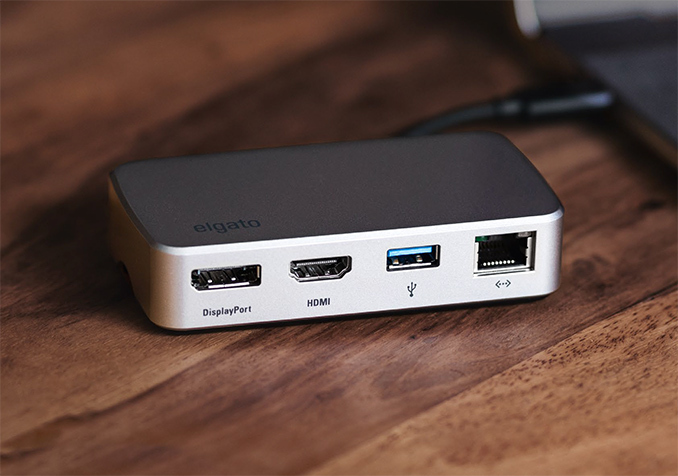 When it comes to compatibility, the Elgato Thunderbolt 3 Mini Dock will work with Apple’s macOS High Sierra 10.13 or later as well as with Microsoft’s Windows 10 and later. Unfortunately Corsair does not disclose which Thunderbolt 3 controller it uses for its TB3 Mini Dock – whether they're using Alpine Ridge or the new USB 3-compatible Titan Ridge – however the exclusion of any mention of USB 3 compatibility in the official specifications strongly points to the tradtional Alpine Ridge, making this a true TB3-only dock. Corsair’s Elgato Thunderbolt 3 Mini Dock will hit the market shortly. In the U.S. it will cost $149, while in other countries prices will be different. I assume DanNeely was referring to deficiencies in the base hardware of the Macbook, not the dock.